You remember what it was like when you were at school, counting down the days until the summer holidays for 6 pure weeks of sunshine, day trips, fun and games. But there was nothing worse than being sick and being stuck in doors. Boredom can soon set in, especially if your child has a sibling that is well and off gallivanting outdoors with their friends. Luckily, there are plenty of ways of cheering up your sick children if they become unwell during the summer holidays. If your child is feeling a bit down in the dumps about being stuck indoors there are plenty of fun things you can do whilst also helping them feel better. For example, the steam from a hot bath will help clear congestion whilst rubber ducks and bath toys can make bath time fun. If they are missing interaction with friends and family, get granny and grandpa onto skype. This will help cheer your sick children up as seeing other people will help them to feel less lonely and a friendly face is reassuring and comforting. Another suggestion is to tell them that their teddy bear or favourite toy is also poorly. Helping them to take care of something else can distract them from their discomfort. If your child is bed ridden but are struggling to fall asleep at night then one option is to read them their favourite book. Hearing their favourite story from a soothing voice will help them drift off at night. Having a movie day is also another option for a child who is lacking energy and feeling feverish and lethargic. Finally, Ibuprofen and Paracetamol can help children feel better. Fennings offers a range of liquid ibuprofen and paracetamol for children. 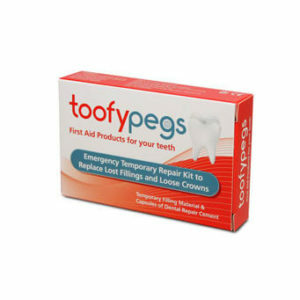 The Fennings range is good option for children who do not like taking tablets. Who says being stuck at home is boring! One way of cheering up your sick children is to give them lots of fun activities to keep themselves occupied. An example is to set up a craft station where your child can make decorations, do some paintings, build a car from cardboard boxes or even make a mask! There are also lots of things are cost-free and take no preparation at all. For example, work with your children or child to build a den or fort in your living room. You can use blankets, cushions, the edge of the sofa as a wall etc! If you have fairy lights you could put them inside to make it feel more magical for them. After the den has been made, the fun doesn’t stop! Let your child take their colouring books in there or their favourite toys (remember sick teddy? He’ll want to play in the den too!). Crawl in yourself and play card games like snap or board games together. The den can become your child’s safe haven and comfort zone when they’re not feeling their best. Plus when you take it down at the end you can remind your children that being ill is also temporary and something they will soon get over. Music can be very uplifting. Whether it’s listening to their favourite song, having a boogie or even playing musical instruments, you’ll be cheering up your sick children in no time at all. Finally, dressing up in fancy dress or painting your child face with face paint can help them feel upbeat almost instantaneously! Plus, if you incorporate this with their den they can transport themselves to a magical castle or a mystical cave. Let their imagination run free and your child will be fighting fit in no time. When your child is on the mend and starting to feel more energetic you can encourage them with a few more energetic activities. Setting up a mini disco at home can be a great way to boost their spirits. There are some relatively inexpensive disco light bulbs which can transform a room into a party zone. Play all of their favourite songs, turn the lights off and get up and dance! You could also set up a drinks and snack table like you would at a school disco and if you invite all the family along your kids will be laughing and joking in no time. Why don’t you let your son or daughter help you out in the kitchen. Bake cookies together, letting your child pick out their favourite type, whether it be chocolate chip or peanut butter, can be great fun. Knowing that they can decorate the biscuits will be something to look forward to whilst they are waiting for the biscuits to bake. Last of all, to help blow out the cobwebs encourage your child to go for a short walk. The fresh air will do them a world of good and they’ll be looking forward to playing outdoors with their friends in no time. Once your child is well again, make sure to check out our tips of more fun things to do during the summer holidays! Summer holidays are all fun and games until your child falls sick. With the above suggestions you can cheer up, entertain and encourage your sick child in no time. NextNew Launch of Feminesse Moisturiser!